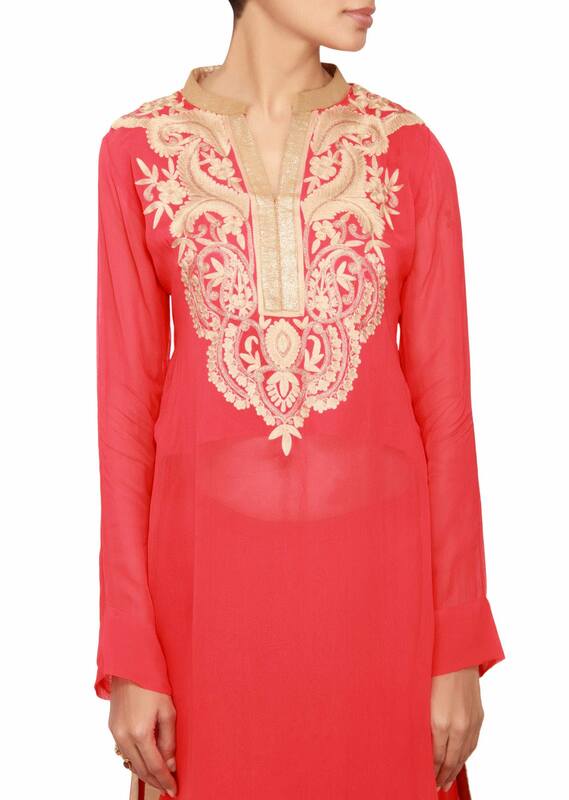 Featuring a red georgette a-line salwar kameez. Neckline has an attached collar in gold lurex. Placket detail in gold lurex. Full sleeves in red georgette. It has side silts from the bustline with gold border. 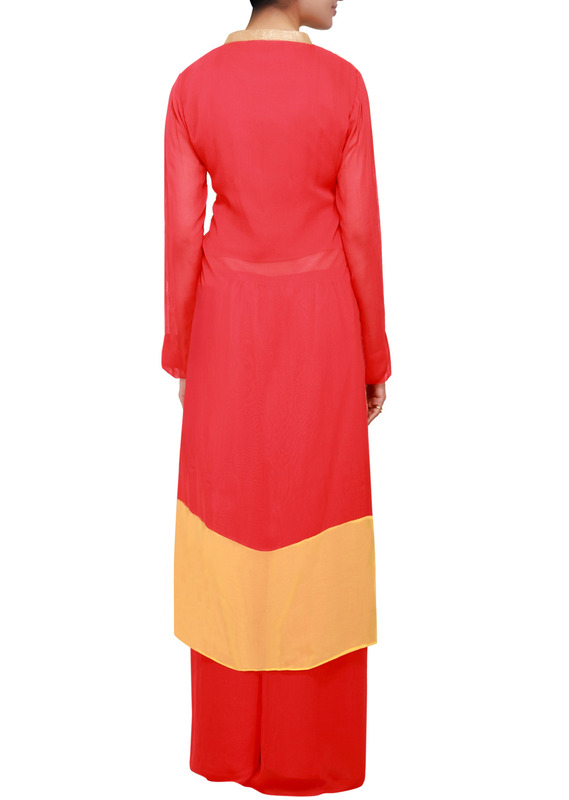 Border is in yellow georgette It comes with a red georgette palazzo pant.